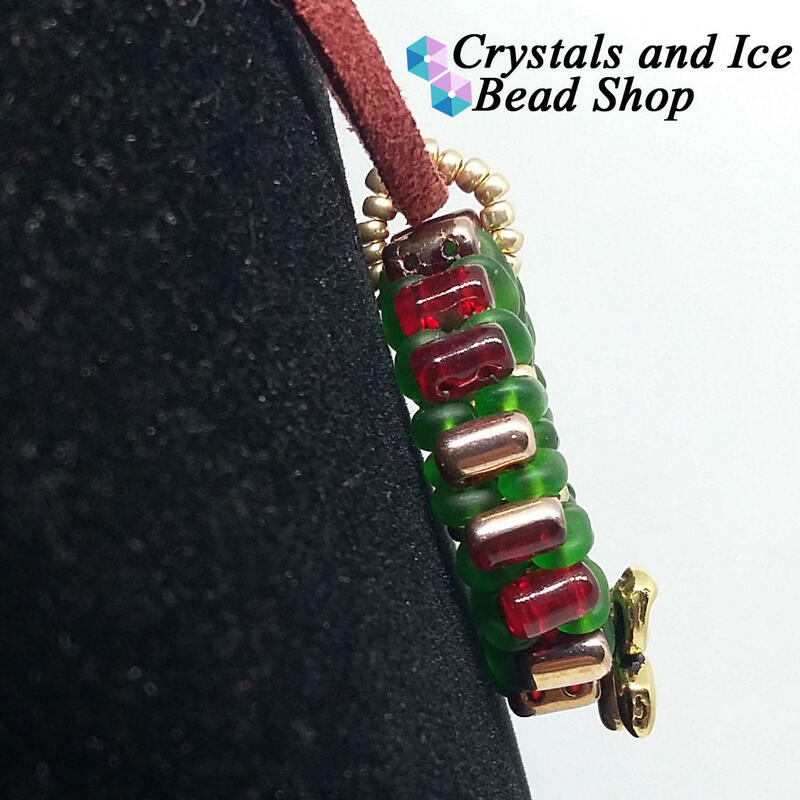 Version 1 - Contains SuperDuo beads and has a bit more gold to it than V2! 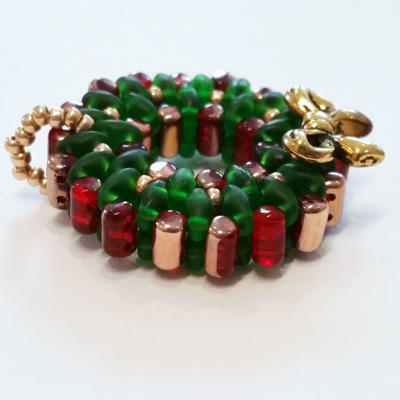 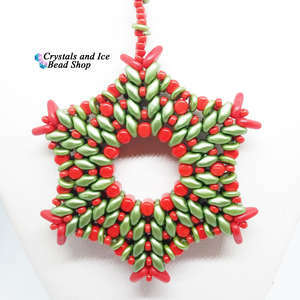 Make a fun and seasonal Christmas Wreath as either a necklace or tree ornament! 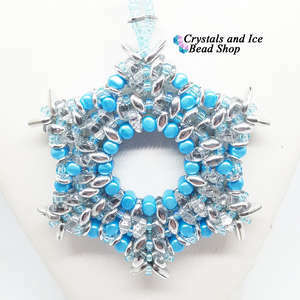 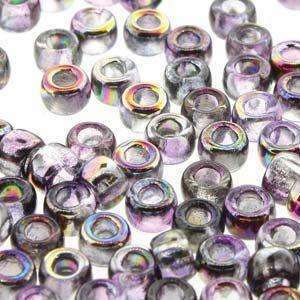 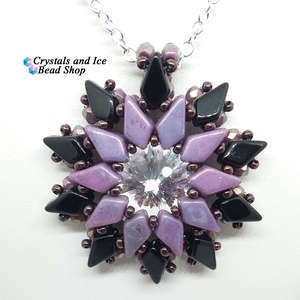 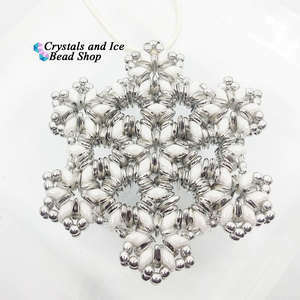 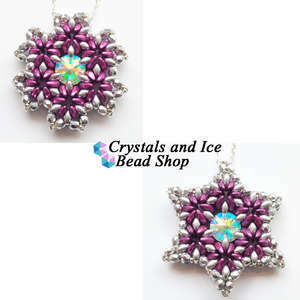 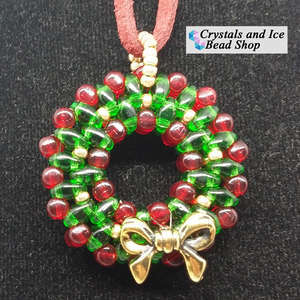 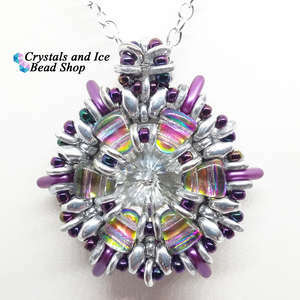 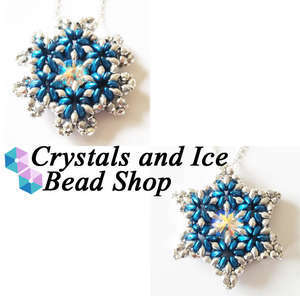 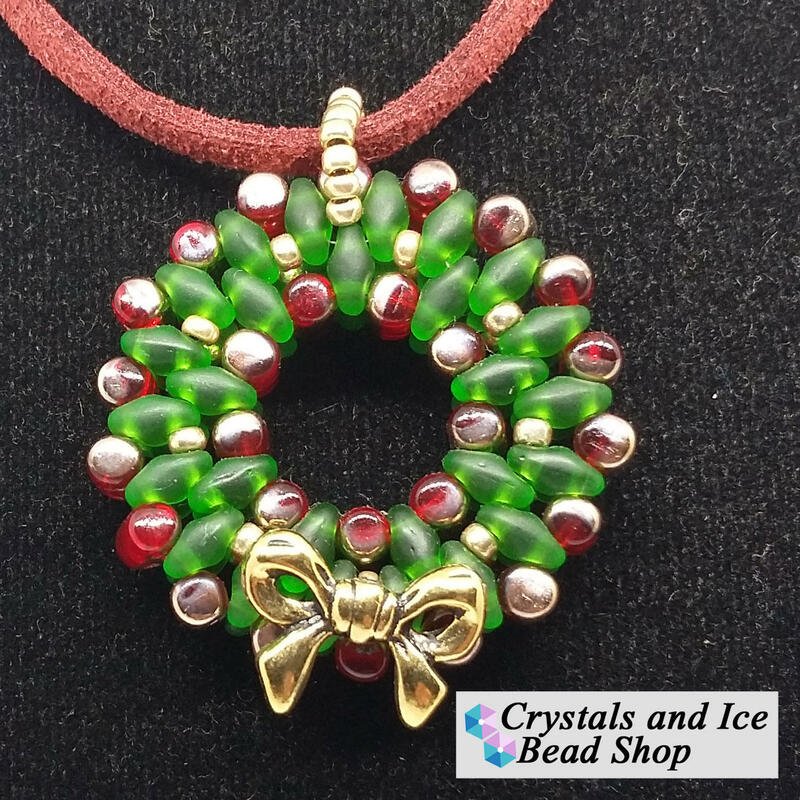 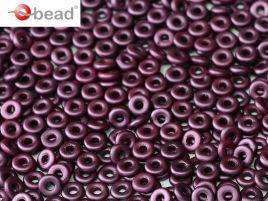 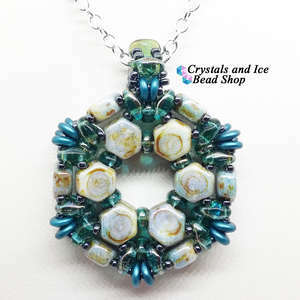 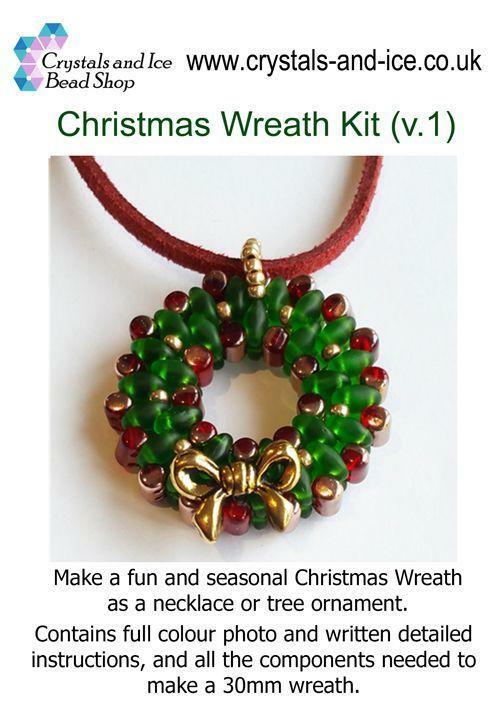 This limited edition kit contains full colour photos, detailed instructions and all the components needed for making a 30mm Wreath as either a pendant on a necklace or as a seasonal ornament.